Sir Leon Brittan has Lithuanian Jewish origins. Sir Greville Janner has Lithuanian Jewish origins. The deputy-boss of MI6, Sir Peter Hayman, was reportedly Jewish (Heiman). 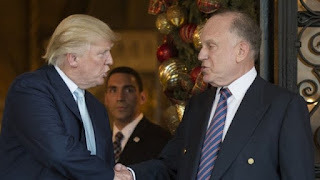 Trump and Jewish leader Lauder. UK Labour Party leader Jeremy Corbyn has been accused of ant-semitism. Corbyn is partly Jewish. Jews ensuring Labour will be elected in UK. 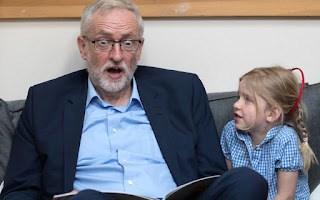 Jewish newspapers say Labour government would be ‘threat’ to Jewish life. re. Netanyahu -- ever seen a more guilty look? "The Banking Cartel - the World is indebted to them to the tune of $247 Trillion Dollars. "That is three times World GDP. "This debt costs about $12 Trillion per year to service, which is about one-sixth of World GDP. "It is known that all this money ends up with the richest 10% of the people worldwide. "Even much worse: about a third of this money (about 4 Trillion) ends up with the richest 0,0032%. These are the people that control the Banks. "Compare this to the income of the US Federal Government, which sits at a paltry $3 Trillion. "US Government debt to the Bank is about $21 Trillion, and US total debt (including households and corporations) is perhaps as high as $70 Trillion. 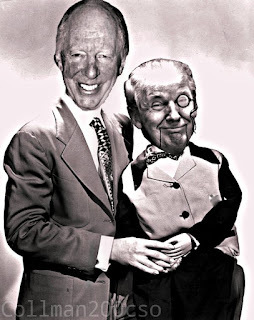 "Not only is the Government's income markedly lower than that of the Banking Cartel, it is dependent on them for money. 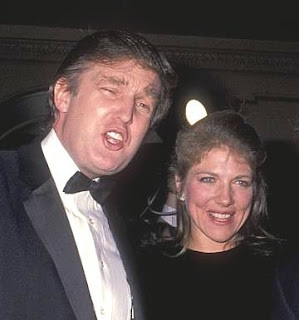 Trump with the wife of Sir Evelyn de Rothschild. "These numbers are self-evident. They expose the true nature of power, and they also show how ridiculous it is to speak of 'economic growth' and 'wealthy countries'. "Obviously, the United States cannot be 'rich' when it has $70 Trillion (3,5 times GDP) in debt. "There will be wealthy people in the US, yes, but the country itself is poor and broke, as is also proven by the fact that 80% of Americans own nothing, and live paycheck to paycheck. "Besides the obvious implications of the massive debt, it has been established that all the major Banks in the World (European, American, Chinese, Japanese) own each other. "They ARE a cartel. It's not speculation, it's a fact." "Total responsibility for your life means that everything in your life - simply because it is in your life - is your responsibility. "In a literal sense the entire world is your creation."